Home > Archive by Category "Real Estate Attorney"
Lots of people aspire to be an attorney, some from the time they were a kid. But few know precisely what area of law in which they want to work. From environmental law to corporate law, there are a wide variety of options out there for aspiring lawyers. One particularly fascinating area of law is real estate law. This area of law is multi-faceted and there will always be a need for real estate lawyers so long as people own real property. But what are the steps you should take if you want to be a real estate lawyer? If you’re interested in a career in real estate law, then you’ve come to the right place. Read on to learn everything you need to know about prepping for your future career! The best time to prep for a career in law is long before you even get to law school. That doesn’t mean you need to major in political science or philosophy, it means taking the time to hone the skills you’ll need for law school. If your university has a moot court or mock trial team, take advantage of them! These are critical skills that’ll give you a leg up once you’re in law school. If your school doesn’t have those teams, look for debate teams or anything that can help you build your speaking and critical thinking skills. Last, but not least, be sure to keep your grades high. High grades and a good LSAT score are necessary to get in at the top schools (and get scholarships, too). There’s no shortage of law schools available in the United States. In fact, there are a few hundred to choose from. But not all law schools are created equal! There are many things to consider when trying to pick the right law school. Many people pick the highest ranked school they get into, but there are other factors to consider. Are they giving you a scholarship? Is it located in the area in which you want to practice after you graduate? Do they offer clinical opportunities in the area of law in which you want to practice? Think about all these things before deciding on a school. Once you’re in law school, you’re going to want to hit the ground running. You won’t get to choose your classes in your first year of law school, but that doesn’t mean you can’t start prepping for a career in real estate law. Property Law will be a class you want to pay close attention to your first year. That doesn’t mean you can let your other courses slide. The better your grades and your ranking, the greater your chances of getting the most coveted summer clerkships. After your first year of law school, you’ll have more control over your schedule. This is your opportunity to curate your courses toward real estate law. Consider courses in property, bankruptcy, and wills and estates, among many others. Don’t be afraid to jump in on practical courses that give you real-life experience doing the type of work that you’ll do in practice. One of the best things law schools offer are clinical programs. These programs allow second and third-year law students to be sworn into the bar for limited practice. You will have a professor supervising the program, and you’ll get to work with real clients who need legal help. Many law schools offer clinical programs in real estate and housing law. These will be a huge boon for your career because you’ll have actual experience practicing real estate law, and not just coursework. Summer clerkships are a must when you’re in law school. Like clinical programs, clerkships give you real-life, practical experience working as a lawyer. Many of clerkships are paid (some big law clerkships pay quite generously) and can give you a little financial padding for the rest of the year. If you want to make the most of your summer clerkship experience, look for firms or non-profits that feature real estate law as part of their practice. The more practical experience you have, the better your chances of landing a real estate law job before you even graduate. Many law students don’t go straight to a firm post-grad. Some participate in judicial clerkships, while others choose to get an LLM first. Another option is a fellowship or a government honors program. The US Department of Housing and Urban Development has an honors program for new graduates that allows people interested in real estate and housing law the opportunity to hone their skills before going into practice. It may be tempting to go it alone straight out of law school. You don’t have to deal with the rat race of finding a job and suffering through being a first-year associate. Unfortunately, unless you have a family member who is an attorney and who is also willing to mentor you, you’ll miss out on a lot by skipping working for a law firm. Being an associate at a law firm will help you hone your skills in real estate law and you won’t have to learn how to navigate the court system on your own. You don’t want to lose clients because you submitted a complaint in the wrong format! If you have the goal of hanging your own shingle, then take advantage of working at a law firm to diversify your knowledge of real estate law. It’s more than real property transactions, after all. Get experience in landlord-tenant law, tracing title, foreclosure, and liens. The greater your depth of knowledge, the more successful you’ll be in solo practice. Once you feel you have an in-depth knowledge of real estate law, you can hang your own shingle! You may be able to bring your clients with you from your previous firm, but be sure to check your contract to make sure. Otherwise, you’ll have to build up your client base. Most solo practitioners don’t have a large office staff as you had at a law firm. It’s important that you make the most use of technology to keep up with new and existing clients. Discover more ways to generate leads and answer calls without taking time out of your schedule to do the leg work. Ready to Join the World of Real Estate Lawyers? A career in real estate law is exciting and rewarding. Whether you plan on defending tenants against terrible landlords or you want to help make sure that home buyers have clear title on their new homes, you’ll love this field of law. This guide will help you get where you want to be. Interested in learning more about real estate lawyers and or law in general? We’ve got you covered! Check out the rest of our blog for lots of super helpful articles! The median home price in the US is almost $280,000. It varies greatly by location, of course, with median prices in West Virginia coming in at $159,000 on up to $619,000 in Hawaii. Regardless, a real estate deal will always represent a large investment. To protect yourself from any costly pitfalls, it’s a good idea to hire a real estate closing attorney. Here are 3 reasons why. It is always a good idea to have a lawyer look over any contract you are planning to sign. It’s even more important when you’re talking about the stakes involved in a real estate deal. You could potentially lose a lot of money if you don’t understand something about your contract or purchase agreement. You might think that’s what your real estate agent or broker is for. It’s true that your agent will advise you on the best course of action and help you protect yourself. But agents aren’t lawyers. They aren’t as well-versed in the law and they aren’t contract experts. 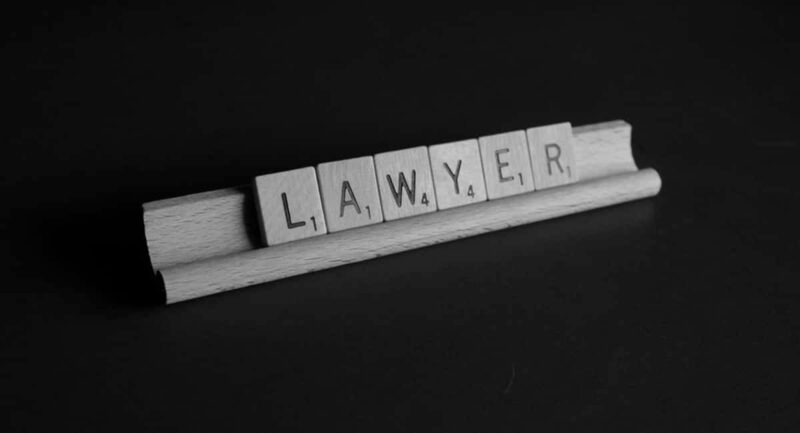 A lawyer will make sure that all the proper verbiage is there to protect you in any situation that could arise. It is extremely important that the title document is correct. This is what gives you the legal right to own the home. If there is something wrong with the title you could end up not being able to sell the home in the future. In some states, it is not normal to pay title insurance. This makes having a lawyer involved even more critical. The lawyer will carefully review the title and ensure that there are no errors in the legal description or problems with previous owners. Even if title insurance is included in the deal, an attorney is helpful. They can explain the effects of things like easements, restrictions put in place by the previous owner, and zoning laws. You’ve come a long way from that first day you googled “houses for sale near me“. The closing process has finally begun. But before you start celebrating, you have to make sure the deal is done. A real estate attorney is immensely helpful in ensuring that all the paperwork is taken care of properly. Closing a real estate deal is stressful because it is both complicated and confusing. A lawyer can help you sort through all the unfamiliar terms. They can also explain things like how closing costs get calculated and distributed. Perhaps the most important consideration is that every party involved in the closing process will have its own attorney. If you don’t have one, you could lose out if there is a dispute or misunderstanding. A real estate deal is stressful enough without going into it underrepresented. A real estate closing attorney is well worth the cost for the peace of mind that comes with knowing you got everything you were entitled to during the process. Now you can enjoy your new home with no worries in the back of your mind. To learn more about when you should definitely hire a real estate attorney, check out this blog post! Should You Hire a Real Estate Attorney When You Buy or Sell a House? Real estate transactions can be difficult to decipher, and simple mistakes can lead to costly implications. Usually, there’s a significant amount of money involved, so it’s important to get all the help you can get. Hiring a real estate attorney is vital for ensuring the entire process goes smoothly. Such an attorney knows the ins and outs of property law and will help to protect your interests as you make a big financial move. Getting professional help from an attorney that understands all the legalities about real estate will make the process of buying or selling property less stressful and straightforward. Read the following guide to learn if you should hire a real estate attorney. A real estate attorney has no incentives to increase or decrease the price of the property. When dealing with an attorney, you have to agree about the fee which will be paid directly to them irrespective of whether the deal is sealed or not. This means they have no motivation to close a deal that isn’t on your favor. They are only motivated by the fact that you’re their client. You’re free to change your mind any time about selling your property, and that won’t affect your representation. You can seek advice from an experienced attorney on where to buy properties in your city. They will help in selecting potential properties and review any contract that your mortgage or real estate broker asks you to sign. An attorney negotiates for you and drafts the contract of sale to make sure your interests are safeguarded. If you’re a seller, your attorney can market your property as well. They can also work with real estate agents to facilitate the sale of your property. Does the person or institution selling the property to you have the legal rights? The only to find out is by conducting a title search. The attorney conducts the title search and ensures that no encumbrances that will affect the transaction. Once they discover an issue with the title of the property, they advise you on how to proceed from that point. When you’re buying a property from entities such as corporations, partnerships or trusts, both the negotiations and contracts are likely to be more complex. You will need someone with knowledge on these types of contracts who will ensure the contract is legally binding. When buying a home, it’s possible to overlook certain stipulations. For example, a covenant or easement on a house can affect the way the property is sold. The unexpected stipulations are likely to lower the price of a house. Hire a lawyer to take advantage of such stipulations. If you’re selling your property and you want to modify your loans, real estate attorneys can be of great help. These lawyers work directly with lenders and other parties and can quickly speed up the modification process. Hiring a lawyer gives the seller or buyer a big advantage by minimizing the need for external help. Reviewing the purchase contract can be intense since most of these documents are dense and packed with legal jargon. You might end up feeling bored reading through all details and end up signing before grasping the content. 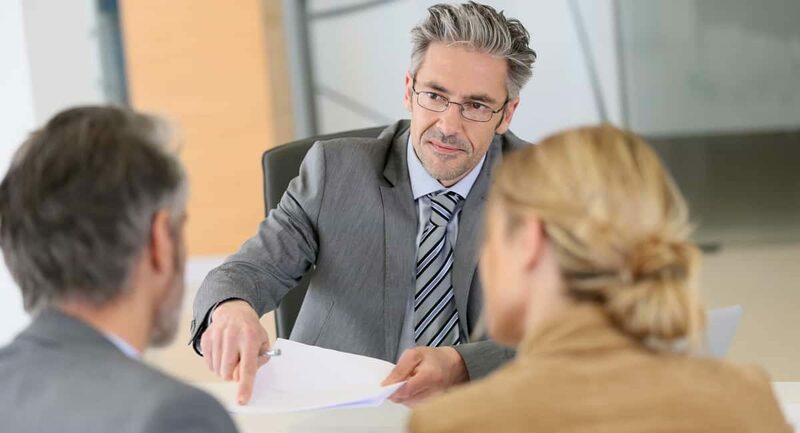 If you have hired an attorney, they will ensure that you grasp all the content and advise you to avoid the contract if some of the contents are detrimental. When you’re about to buy a property, but a building inspector points out some defects such as electrical issues, do you abandon your mission or proceed? You need to find an experienced real estate lawyer who can negotiate credits or repairs for these issues. After the negotiation, the lawyer will draft an agreement that resolves these issues to your satisfaction. What of a situation where you are buying or selling a property from someone you trust 100 percent? Will you still need a lawyer? In this case, a lawyer may not be needed for negotiation purposes, but you may have to consult a lawyer to understand an issue such as tax consequences of the purchase or sale. Real estate has its fair share of ups and downs, but if there’s one factor that has remained constant over the years is the paperwork involved before money and title change hands. You need an expert in your corner to help you understand the entire process and safeguard your interest. There are important steps that occur at the end of a real estate purchase deal. You need to check closing documents such as the deed and ensure once you finish paying for the property, the title is passed to you. A real estate attorney facilitates this process and also ensures there is a closing statement that records the transaction between you and the other party. If you intend to buy or sell a property, look for an experienced attorney who will help you have a smooth transaction. You can learn more about selling your house here. Is Hiring a Real Estate Attorney an Unnecessary Expense? Some people think that hiring a real estate attorney is an unnecessary expense when it comes to buying or selling a property. The legal fees are not as high as you think, but it’s dependent on the complexity of the transaction and whether selling or buying a property. Want to find out the legal difference between a real estate agent and a broker? Check out our blog. Taking out a commercial lease is an important step in the establishment and growth of your company. However, you must ensure that you are getting the best deal possible and that the terms and conditions of the lease are sustainable. There is no such thing as a legally-mandated standard lease. Anyone who tells you there is not being truthful. All commercial lease contracts are subject to negotiation. Nothing is final until you and the landlord have signed the contract. The CAM (common area maintenance) section of the lease tends to be the most confusing. You must insist on clarity before you sign anything. The rent that you are charged should be based on the overall size of the building, not the percentage of the building rented at a particular time. You should not have to pay for activities related to the landlord’s legal fees or marketing efforts. You should also get a detailed accounting of any administration fees. These should not be more than 3 percent, and they should not be used to pay for the landlord’s employees or renovation costs in other units. Most leases require you to pay a proportionate share of CAM fees, property taxes, and repair and maintenance costs in addition to the rent. However, you are obligated to pay only for an increase in CAM fees and property taxes. You can ask the landlord for a CAM stop lease to ensure that this is so. You can also ask for a cap on the CAM so that it does not increase more than a negotiated percent. It is important to monitor how CAM fees increase during the term of your lease. You have a right to receive a complete breakdown of such charges. If you are like most companies, the success of your business depends a great deal on your location. This may owe to market proximity or cost-effectiveness. You should preserve your right to have someone else take on the lease if you sell your business. There may come a point at which you decide to sell your shop at that location or decide to relocate to another office building. Many landlords want the right to terminate the lease in such instances. However, this is not automatic, and you should request the landlord to remove this provision if it is in the lease. The latter can always be renegotiated so that both you and the landlord are protected. Many contracts include arbitration clauses. These commit the parties to the contract to resolve disputes through arbitration rather than litigation. This is a good mechanism to have in a contract, as it will save you from having to go through a costly litigation process with the landlord should a point of contention arise. However, you must defend your right to participate in selecting the arbitrator and the range of other decisions that must be made if at any point you must go before such a tribunal. If you rent a large office space, it is good business sense to share the rent with another company that may be interested. This may not have been your intention when you first signed the lease. However, changes in the organization of your company may have led to a significant downsizing, which created more than enough space to share with another business. Many landlords do not like sublessee arrangements, but you should fight for the right to have one. It is a rather straightforward proposition: you continue to pay the rent and the sublessee pays you their portion of it. You should avoid signing any lease that shifts the cost for major renovation, refurbishment, or replacement work to you. In the event that you are renting a space that is already scheduled to undergo major repair or restructuring work, it is possible to strike a deal with the landlord in which you offer to pay for only part of the cost. Or, you can make yourself responsible for all maintenance to the space that you are renting for the entire year. A range of other options are available. The main thing is not to be sucked into paying for a repair or renovation project that the landlord would have had to undertake anyway. Your attorney should review all documents related to the lease. They should be present when you are negotiating in-person with the landlord. There may be times when it is best for your lawyer to do all the negotiating on your behalf. Some landlords do not like this; they prefer to work face-to-face with the people who will be renting in their building. However, as a business you have the right to leave all such matters to your company’s attorney. Boss lawyers can help you create and negotiate the commercial tenant agreement that is best for your business. Leasing language can be obscure and difficult to understand. Given the impact that a commercial lease can have on the financial health of your company, you want to have a clear and exact understanding of your rights and responsibilities as a tenant. Only an experienced attorney with specialist knowledge in this area of law can help guide you through the perplexities of lease agreements. The bottom line is that if you are looking to establish your company in an office building you will need legal representation. You should contact lawyers with proven expertise and insight into commercial lease law. Often there are situations where employing the services of a lawyer happens to be a natural move. Such as in case of a criminal arrest, battle over custody or a contentious divorce. But with regards to investing in real estate like purchasing a house, not all hurry in calling a lawyer. They perhaps assume that ample research coupled with advice from various homeowner friends is what will suffice for a smooth transaction. But the truth however is real estate lawyers exist for a vital reason. First they are adept with the law along with being familiar with the different prospective pitfalls as well as be by your side while making this vital investment in the future and that of the family. If you wish to know more about the real advantages of hiring a real estate lawyer then keeping reading the blog further. Professional Contract Review- Contracts related to real estate purchase can be large documents that are full of legal jargon. One may indeed feel pressured from eager sellers to sign the contract without adequately understanding and reading the contents. Professional real estate lawyers will make sure that you thoroughly understand every term present in the contract as well as advice about potentially detrimental contents if any. Address Complex Contracts- At the time of investing in real estate especially from corporations, trusts or partnerships, the negotiation, and the contract will be immensely complex. Here a real estate lawyer can act as a savior. They will possess the required expertise in such transactions thereby ensuring that the contract remains legally valid and at the same time respect the charter agreement regardless of the type of entity one does business with. To know more contact Friscia Law. Addressing Liens and Title Search- Post signing the purchase agreement, the title search will be needed for informing the buyer and the institution which issued the mortgage regarding the seller possessing the legal right of selling the property. Here there will be no encumbrances like liens or judgments which will prevent or hinder the transaction. In fact, even if this form of a problem crops up, the real estate attorney will offer suggestions to the lawyer to satisfy such claims and later on obtain proof of satisfaction. An Ideal Closing- At the time of a real estate purchase closure a couple of important steps take place. These include closing paper’s preparation like the deed, the property passes title from the buyer to the seller, pay the purchase price balance, and the preparation of a closing statement that will itemize the transaction. The real estate lawyer will offer valuable assistance should there be any disputes over costs or there are any last-minute questions. The bottom line is, for anyone who is in the process to purchase a commercial real estate or a home and looking for experienced legal advice should right away contact the best real estate lawyer. Always hire an experienced lawyer as they will have the expertise and insights required to safeguard your interest from offer till closing. Estate planning is highly-recommended in many situations. If you have several assets that you want to transfer to heirs at a particular time with the least amount of financial burden as possible, then hiring an estate planning lawyer or firm is beneficial for you. Beyond the last will testament, estate planning also involves plans for living trusts, solutions to avoid or mitigate estate taxes and ensure that the assets are protected from creditors of your beneficiaries. While this is crucial, hiring one should be done carefully with proper consideration. Several things can be done by a general lawyer or firm, such as drafting a simple will, creating a power of attorney, and so on. However, estate planning should not be taken lightly and should be left in the hands of specialists. It’s understandable that hiring a generalist firm may be the cheaper option, but you will save more money in the long run when you choose the right law firm and lawyer, such as Brian Douglas. These tasks are far more tedious and complex, and sufficient years of experience are needed to be able to do them successfully. Check your local bar association websites for a list of lawyers that have a specialization on estate planning. Opt for lawyers who are certified in the field – which means they have completed certain years of experience, presented professional references, taken additional education or courses in that area, and passed an exam. Look at bar records of firms and lawyers that you are interested in working with to ensure that they are in good standing. Get a referral from family or friends for firms or lawyers who have helped them for estate planning. Take time to meet your prospect firms and lawyers. See at least three of them so that you have a standard for comparison. Another consideration when hiring an estate planning firm is their malpractice insurance. You want to be compensated for loss or secure against legal liability when there are any mistakes that the estate planning lawyer or firm would commit. Having a malpractice insurance is a good sign that the firm is willing to take responsibility for their actions, and not everyone has them, so it’s always best to double-check. This is one of the things to ask during the initial legal consultation. While estate planning helps you to manage your assets before death, probate is what happens when you weren’t able to sort out your properties before death. The probate process is costly because it can take years before settlement. Your beneficiaries will be burdened with legal fees, in comparison to the situation where there was a concrete plan beforehand. If the firm or lawyer hints or pushes you into a will and probate route, definitely look for a different one. You will undoubtedly be paying higher legal fees for a firm to create, maintain, and continuously update your estate plan because of specialty and complexity. However, it is still so much better compared to hiring someone who doesn’t even know what to do in the first place. There are different ways of how firms charge fees – some have flat-fee services, others have bundled services, and some have separate fees for varied services. Look for a firm that is clear with disclosing what they charge and how much, with being keen about the kind of service that you need. If you happen to speak to a lawyer who gives a price without knowing your estate, it might mean they’re inexperienced or incapable. At the same time, those who charge by the hour may lengthen appointments just to get more fees from you. Opt for flat-fee services if you only need a particular service, like drafting a will. However, if you need more services and assistance, it could be best to get bundled services. A good law firm will be able to clearly explain how the rates are computed. The cost will vary according to you’re the kind of assets you have and the amount, the complications with your properties, the lawyer experience, what state you are in, and so on. Estate planning is highly-encouraged to avoid problems with your assets when you leave them to your beneficiaries. Have an estate planning checklist and use the guide above to look for the best firm that can help you out. Once you find the potential firm, make sure that you are comfortable working with them and that you can establish a trusting relationship for your benefit. Real Estate Agent VS Broker: What’s The (Legal) difference? In 2018, the National Association of Realtors had a total of 1.36 million active members. That’s an increase of 50,000 members from the previous year! California alone is home to almost 205,000 real estate agents. The state also has more than 95,000 active brokers in operation. As a home buyer or seller, you’re likely thinking of hiring one of these professionals. This is a wise idea, especially since tricky and complex laws govern real estate transactions. But first, you need to know the difference between a real estate agent vs broker. Not only are these titles not interchangeable — the responsibilities themselves differ, also. What’s more, there are legalities involved in who can claim each title. Don’t worry though, as this post covers the most important differences between the two. Keep reading so you know which real estate agent professional to hire and team with. So, what is the difference between a real estate agent and a broker? Some real estate agents are also brokers, but not all real estate agents can work as brokers. Brokers can work as agents, but most of the time, they have other agents working for them. Under law though, all real estate agents need to work for a broker. That said, even if you hire a real estate agent, you’re pretty much working with a broker too. For real estate agents to be legal real estate professionals, they should report to a broker. In short, brokers are the boss of real estate agents, and they can also be their own boss. Many brokers run their own independent firms, or they hire other licensed agents. A real estate agent is a real estate salesperson with a license. The law requires them to work for a real estate broker. That means they can’t work alone or as an independent party. There are strict educational requirements before one can become a real estate agent. Most states require applicants to complete real estate pre-licensing courses. The number of hours for these required courses also vary from state to state. Some states also need applicants to have finished real estate college-level courses. California, for example, requires applicants to have finished three of these courses. In Illinois, an applicant needs to at least have a GED or finished high school. Only after meeting these requirements can applicants take the real estate licensing exam. Once they pass the test, then they can get their license and start offering their services. Most home buyers and sellers have more direct contact with real estate agents. That’s because these salespersons represent buyers and sellers, working on their behalf. They deal with price negotiations, transaction management, and even marketing for home sellers. Agents are also the real estate experts who give buyers a tour of homes for sale. For selling clients, their role involves generating prospects and buyer leads. They handle open houses and answer general inquiries about properties for sale. Real estate salespersons should also have some knowledge of legal matters surrounding properties. But when it comes to dealing with actual documents and agreements, you need a real estate lawyer. We’ve established that the key difference between a broker vs agent is that the former is the boss of the latter. Or in some cases, a broker can legally serve as your real estate agent too. But, that’s not all. Brokers have often undergone more extensive real estate education and training. In fact, this is a legal requirement in some states, including California, Florida, and New York. Let’s use California as an example again. Real estate agents there should have completed 135 hours of the pre-licensing courses, whereas brokers should have finished 360 hours of these courses. That’s more than twice the amount of education and training. Also, before someone can become a broker, they should have worked as a real estate agent first. How long depends on the state they operate in. In CA, FL, and NY, they should have worked as agents for at least two years before they can take the broker exam. Speaking of which, broker applicants need to pass two exams. First, the real estate licensing exam, and then the broker exam. The broker exam is also more difficult than the licensing exam for real estate agents. Brokers can also do the same things as agents, but they have more on their plate, especially if they run their own broker firm. Brokers manage all agents under them, maintaining ethical and legal practices. They train agents and resolve issues between them and clients. They provide leads to their agents, carry out marketing for the firm itself, and keep records. Reputable real estate brokers also often maintain a network of legal contacts. If you need help finding a closing attorney, a broker can recommend or refer you to one. They can also help you establish an escrow account and even manage your properties for you. For a more detailed list of broker duties, you may want to check this article by BrokerBreakUp. It can help you further understand what exactly brokers can bring to the table. Hire a Real Estate Agent or Broker? One of the biggest advantages of hiring a broker is their more in-depth knowledge. They often got more experience under their belt, which is a plus if you’re facing a complex real estate case. For instance, having a lien on a property you want to sell or dealing with a foreclosure. But this doesn’t mean they’re always the best choice, especially if they run a brokerage firm. Because brokers have other agents to manage, that may limit the time they work with you in person. And since they’ve got more training (and two licenses), they often charge higher. If you want a more personal home buying or selling experience, you may want to go with an agent. Do the same if you’re worried about the higher broker fees. But also consider how a broker can sell your home for a much higher price. They may ask for a bigger commission than an agent, but it may be small compared to what they can sell your house for. Now that you know the real estate agent vs broker difference, it’s up to you who to hire. Explore your options and make sure you choose someone you’re comfortable with. Remember, home buying and selling can take weeks, even months. Selling alone can take up to 65 days on average. So, you want to work with a real estate professional you can stick with for that long. Looking for more property-related advice? Then be sure to check out our Real Estate section for more guides and tips! The word “probate” is a legal word derived from the Latin term “probare” which essentially means “to prove.” And while most legal matters are matters proven in court, the probate process in America is one that is all about proving some number crunching. The very first probate court in America launched in 1784, to provide for a court that existed solely to determine what assets were proven and then divided after death. Probate court can be a lengthy and confusing process. If you have property in probate right now, eliminate some confusion by getting everything you need to know about the probate process right here. In a nutshell, the probate process is the legal process that proves an individual’s assets and determines asset division upon their death. In many cases, a will is in place and this is the document that will serve as the law or ordaining legal principle that makes those determinations. Once someone dies, the executor advises descendants of their expected inheritance. But even in the simplest of situations, a legal process generally has to occur before they will get their stake of a will. And in some situations, a will does not exist, nor does an executor. So a probate court appoints someone to direct the assets, to mitigate squabbles and battles over anything from money to the family spoon used at Christmas. First, the will is proven in court, and then the assets and liabilities are paid or expunged. The property appraisal occurs, and debts or taxes get paid from assets. Once that process is complete, the remaining assets are divided among descendants. The entire process can take anywhere from a few months to a few years. This process of waiting until probate is over to receive inheritances is the standard one. But there are many ways to access property before probate is over. In some cases, a cash amount may be released for the short-term while probate proceedings go on. And not all property must go through probate in its entirety. In the state of California for example, as much as $100,000 in property can be passed to descendants without probate. Putting property in trust also allows you to avoid the probate process on those assets as well. A good probate lawyer can help you determine how to do this before you even prepare your will or estate plan. If you already have property in probate, avoiding it at this point is not possible, and that’s why you need a good lawyer to help. If the estate is not complicated, you may be able to go through a simplified probate process in your state. Or at the very least, you may be able to get some short-term funding approved for release before the probate process is complete. Spare Your Loved Ones. Probate. As many as 55 percent of Americans do not have an estate plan or will. This is why the probate process can take as long as two years to complete. Register today to get access to a comprehensive list of lawyers willing to help make the probate process easier for you. House repossession can be one of the most traumatic challenges your family ever has to face. Taking every step you can to avoid this problem is an excellent idea. This article will explain the details of the repossession process and show you where and how you can take action to avert it. Whether you have already fallen into arrears or you are just beginning to struggle with your mortgage repayments, the advice provided here can help. The basic mechanics of a mortgage include the understanding that the lender who helps you buy your home has partial ownership of the property until your loan is fully repaid. Failing to meet your mortgage contract’s repayment obligations could place you in arrears and entitle your lender to repossess your home. If repossession of your house proceeds, your lender will evict you from the property and then sell it in order to recoup the outstanding debt on your mortgage. All of the circumstances leading to repossession will be spelled out in your mortgage contract. While the specifics can vary from loan to loan, in all cases, repossession only becomes a danger if you miss mortgage payments or fall into arrears. This makes it vitally important to respond to your mortgage provider if they start contacting you regarding payment problems. Remember that repossession is always a lender’s last resort; they will pursue other means of settling your debt before resorting to court action. Review the specifics involving arrears and repossession in your mortgage contract and remain aware of them. Lenders most often set the line for repossession at missing four payment instalments. Be aware that this is NOT a universal figure, though! High-risk lenders can and often do write more stringent contracts. Some contracts allow lenders to start foreclosure proceedings if you miss as few as two payments. If repossession does become inevitable, you still have a step you can take to reduce the cost and stress of the process: voluntary repossession. Prior to repossession, your lender must give you the opportunity to sell your home. This may not be possible, as many properties in this situation have negative equity and are thus unattractive to buyers. If you choose to go through voluntary repossession, you can stop your mortgage payments, move out of the property of your own volition, and turn it over to the mortgage lender. So long as you have satisfactory accommodations arranged, this spares you from the hassle of trying to sell the property yourself. Talk to your lender: As mentioned above, taking you to court is your lender’s last resort. This is not a matter of commercial policy but an actual legal guarantee. Your lender has an obligation to discuss your financial situation with you and at least provide the opportunity to pay your arrears. Note that your lender is also required to provide a full and accurate accounting of your payment history going back at least two years. Modify the terms of your mortgage: One of the options to discuss with your lender is the possibility of changing the terms or details of your mortgage. Restructuring your payment obligations, extending the mortgage term, capitalizing the arrears, or even negotiating a break in your repayment schedule are all possibilities. Pay towards your arrears: Any money you can put towards your arrears demonstrates your good faith intent to meet your mortgage obligations. Even if you don’t have the resources to pay in full, partial payments improve your relationship with your lender. They may also be counted in your favour if your lender does end up taking you to court. Start renting your home: Additional income can help ease the financial burden of a mortgage, and you may be able to get some by renting all or part of your property. Check your mortgage contract; you may need to get approval from your lender to do this. Remember that you also need to account for the tax obligations of any extra income. Seek financial assistance: A range of different circumstances may entitle you to benefits or other help. Unemployment, health problems, and low income are all potential qualifications. After you claim benefits, you may be able to secure additional help via support for mortgage interest and/or universal credit help with housing. You should keep your lender fully informed about applications for financial help. They should not start court action if you have a good chance of receiving assistance. Check your insurance: Certain financial difficulties, like illness, injury, or redundancy, may actually be covered by insurance. Consult your lender and see if you have mortgage protection insurance. This form of insurance covers your mortgage expenses if you lose access to a stable form of income; most policies pay out 125 percent of mortgage costs. The first step in the repossession process begins with written notification from your lender regarding arrears. This is the ideal stage for negotiation with your lender. The process can be stopped here if you come to a mutually agreeable arrangement. If your lender is not satisfied, they will progress to issuing a second warning in advance of court action. Without any alternative arrangements, your lender will then apply for a court order to repossess. Applying for the order costs your lender £325, and they must explain why they should be granted possession of the property. An alternative here is an accelerated possession order, which is slightly more expensive (£355). The matter will be decided by a judge in a court hearing. You will receive advanced notification of the hearing date. You also have to fill out the defense form provided by the court. If things progress to this stage, getting legal advice is a good idea. The judge’s verdict will be based on evidence provided by both you and your lender. The typical options available to the judge include deciding in favor of repossession, issuing a suspended possession order, adjourning the case, or dismissing it entirely. If a possession order is granted by the court, you will receive a fixed amount of time (usually 28 days). The judge may extend this up to 56 days in special circumstances. Paying the court costs usually becomes your responsibility, and your lender typically adds these to your already-outstanding debt. If you fail to meet the obligations set out in court (either vacating the property or meeting a repayment agreement), you will be removed by bailiffs. This requires another court action by your lender – securing a repossession warrant. Once eviction by the bailiffs is scheduled, you will be notified of the scheduled date in writing. After you leave, your mortgage lender will sell the property. You continue to accumulate interest on your outstanding mortgage debt until the property is sold to a new owner. When the property is sold, the lender uses the proceeds to account for your debt. If there is more money left over, you receive it. If the sale does not cover your debt completely (a more likely scenario), you will still need to pay the balance to your lender. If you’re facing repossession and you know you don’t have the resources to clear your arrears or repay your mortgage, it may be time to sell your home. If your home currently has negative equity, you need your lender’s permission to sell. A quick home sale will unlock your equity, but it can be hard to arrange. You need an estate agent and solicitor, and finding a willing buyer may take months. This process can be expensive, too. Selling and buying of property is always a process. It is a process because it involves a lot of written documents and above all there is exchange of ownership. You need experienced commercial lawyers who know this process to make it happen. Moreover, the whole process is very tiring and time consuming. This will be very hard for you because you might not have an idea of what you are expected to do. In addition, this process is governed by an agreement agreed upon by both parties. In most cases, the contract entails every detail about the property. The contract also states clearly what is expected of all the stakeholders. Sometimes, contracts have to be revised from time to time due to changes in the law. It is up to your lawyer to make sure your contract is always up to date. The other thing you will enjoy when you have a property attorney is legal representation. At times, one of your clients might sue you due to different reasons. It is up to your lawyer to address such issues. When he or she deals with these issues, you get more time to focus on managing your property. In addition, if there are any legal issues that require immediate attention, they will be addressed through your lawyer. So, your lawyer doesn’t only represent you in the court but he or she does the same even out of court. Your commercial and property attorney shouldn’t let you handle things in your own way. He or she should guide you and ensure that you do things in accordance with the law. Hiring a property attorney is one thing but getting the perfect attorney who will meet your needs is another. How then does one hire an attorney who takes care of their needs? It is very simple. All you need is to have is a whole list of the things you want. You need goals or even objectives that you want fulfilled. A commercial and property attorney always ensures that all your interests are protected. Your interests in this case are your needs. An attorney might the only person who isn’t interested in how much money you make. All the other people who might be involved in the buying and selling process might have an ulterior motive of financial gain.